Miami based record label founded by Jose Armada Sr. & owned / operated by husband and wife team of Jose Armada Jr. & Annette Armada. OT 8009 Eric G. And The Juice Troop Something For My D.J. 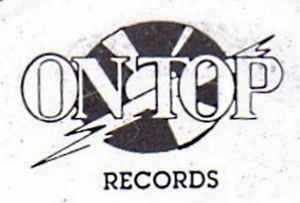 A label responsible for recognotion in Bass music and attempts at getting this music heard by mainstream America when Bass music was shaking the world in the South Eastern United States in the late eighties. All though Success-n-Effect may have been the only artists on the imprint to live that up as Bass music has never seen much radio play out of the state where it's inception commenced, Florida. Bass music kind of faded out during the mid-late nineties when Hip Hop artists from the Southern US were incorporating more of the ever so popular gangster/pimpin vibe in their music. But Bass music has been re-birthed here in the late 2000's by underground Electro artists from Florida rocking dancefloors locally. The The label has been defunct for 15 years now. Some really good releases here.